Many of us are familiar with the Aagrah Restaurant Group famed for its delicious fine dining experience. Popularity of their “tarka cooking sauces” with home-diners has really hit the spot for those who wish to create award-winning Aagrah dishes at home. 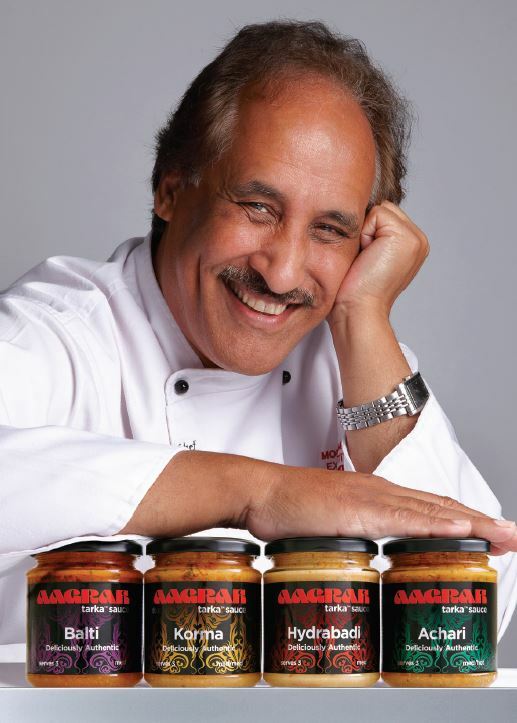 Using the Aagrah Cooking Sauces you too can become an expert chef and create delicious meat or vegetarian dishes. It takes minutes to create Chicken Hydrabadi, Lamb Balti, Veg Achari, the much-devoured Chicken Tikka Masala or the original curry dish Chicken Karahi. Using any of their cooking sauces, simply add your choice of meat or veg for a mouth-watering masterpiece. The handmade cooking sauces are a great healthy option and are free from artificial colours, preservatives, flavourings, nut and dairy. Featuring a combination of the chef’s innovation and tradition of taste, Aagrah’s Tarka Cooking Sauces offer a perfect solution for lovers of curry in a hurry. The range of five deliciously authentic cooking sauces, let you create the perfect meal in minutes. Each jar serves four portions and you can grab yours from supermarkets Asda and Co-Op. The sauces are a creation of the much loved and respected Aagrah Restaurant Group, with 14 branches throughout Yorkshire. 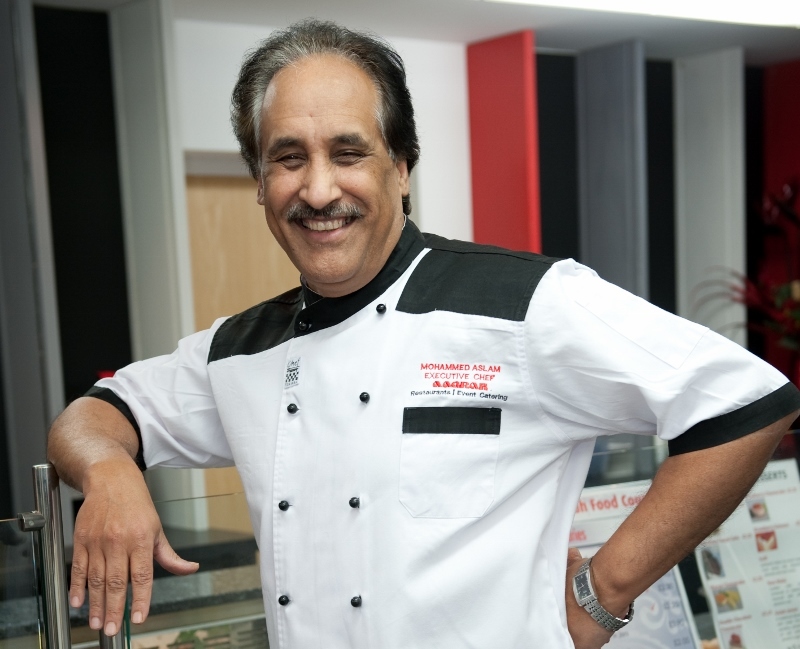 The restaurant chain have been serving award-winning dishes for the last 40-years under the helm of Managing Director Mohammed Aslam, MBE, DL. Joining the team is Shezad Aslam, Director of Aagrah Foods, son of the Managing Director who is now heading the Aagrah Tarka Cooking Sauces operation. Shezad brings a vast experience in the food sector working for Mars as a Project Manager. 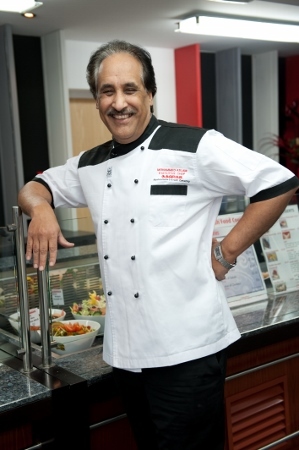 Commenting on his vision for the cooking sauces Shezad says: “I am excited about building on our customer-base and looking at new markets. 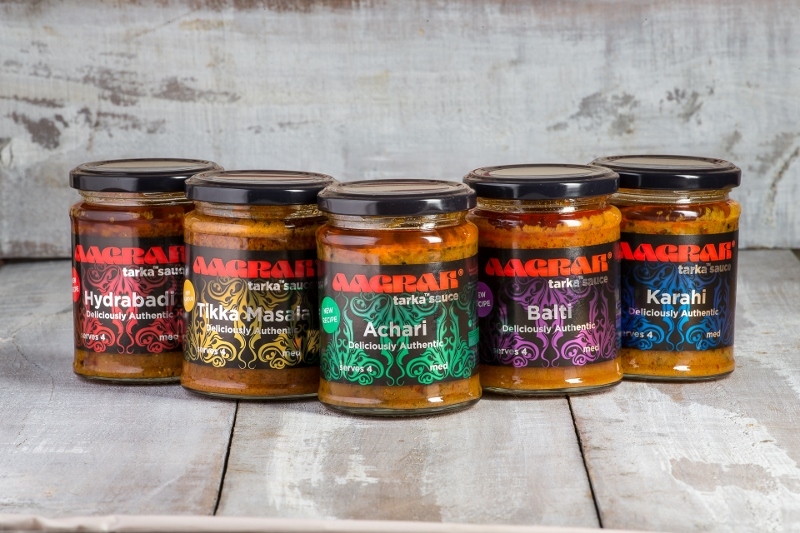 “With a strong brand like Aagrah behind the sauces, we will be exhibiting at major trade food shows around the country as well as exploring international markets”. The Executive Chef’s team have travelled to regions of Pakistan where the recipes originate to appreciate the true taste of local culture. Blending the team’s innovative ideas into authentic local cuisine. The dishes created from Aagrah Cooking Sauces are essential for any store cupboard. A Yorkshire restaurant has been named as runners-up in the prestigious London Tiffin Cup Award this month, collecting their accolade at the House of Commons, The Palace of Westminster. Upon accepting the award, Aagrah’s Managing Director, Mohammed Aslam, said: “We are privileged to receive the award and delighted that our food is so popular outside Yorkshire. Following the success of the Tiffin Cup in 2015, MPs were, for the 11th year running, asked to nominate a restaurant in their constituency as the best South Asian restaurant in the UK in this mouth watering competition. Last year 121 restaurants were nominated from around the country. 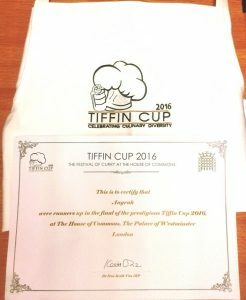 The Tiffin Cup is awarded every year by the Tiffin Club of MPs, formed in 2006 by former MP John Barrett, Michael Fabricant MP and Keith Vaz MP. The aim is not only to applaud the quality of South Asian food in Britain but also to raise much needed money for charity. This year the competition is in aid of the charities ‘World Vision’ and ‘Water Aid’. 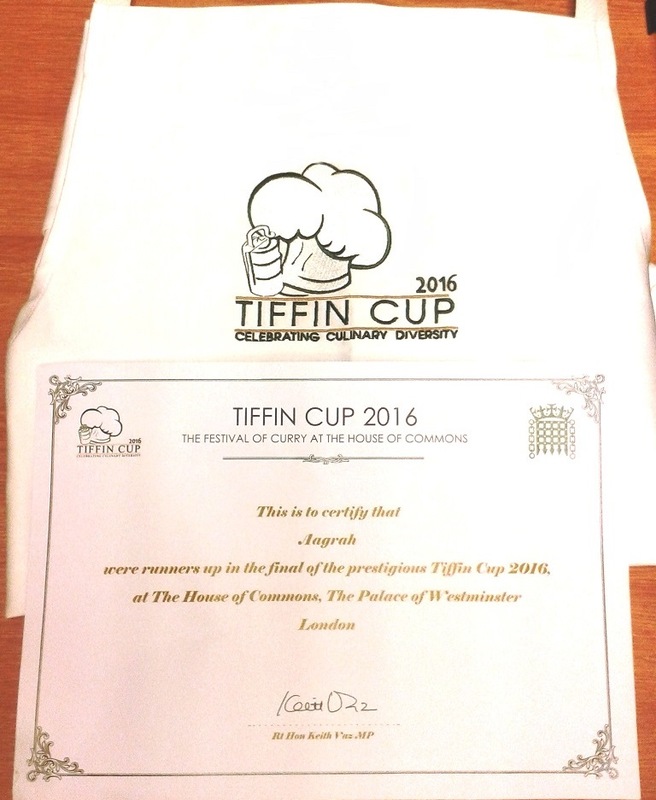 The Grand Final of the Tiffin Cup 2016 was held in the House of Commons with awards presented by Chair of the Tiffin Club, Keith Vaz. Nearly 40 years ago Kashmiri cuisine was virtually unheard of in the UK. Thanks to Aagrah it has now become one of the most popular Asian food types in the country, rapidly picking up new and dedicated fans all over the nation. It is increasingly being seen as a distinct area of cuisine, and Aslam is credited by many for introducing and spreading that crucial awareness. From humble beginnings, this family owned business of 14 restaurants, including The Midpoint Suite (Conference/Banqueting), has become the UK and Europe’s largest Kashmiri chain providing employment for 350 people in the Yorkshire region. One of Yorkshire’s most famous restaurateurs will adopt a new uniform later this year after being named as the new Deputy Lieutenant for the County of West Yorkshire. Managing Director at Aagrah Restaurant Group, Mohammed Aslam, will assist the Lord Lieutenant, Dr Ingrid Roscoe – who represents HM The Queen in the execution of her duties in the County. Having spent much of the past four decades in the heat of kitchen, Mr Aslam says he is honoured to have received the position and is looking forward to representing Yorkshire. Mr Aslam, who was previously awarded an MBE by the Queen in 2009, will be expected to attend a number of events where the Lord Lieutenant is unavailable. “From a business point of view, we like to support the communities in which we work and this is an opportunity for me to do something further for the people around West Yorkshire,” he added. 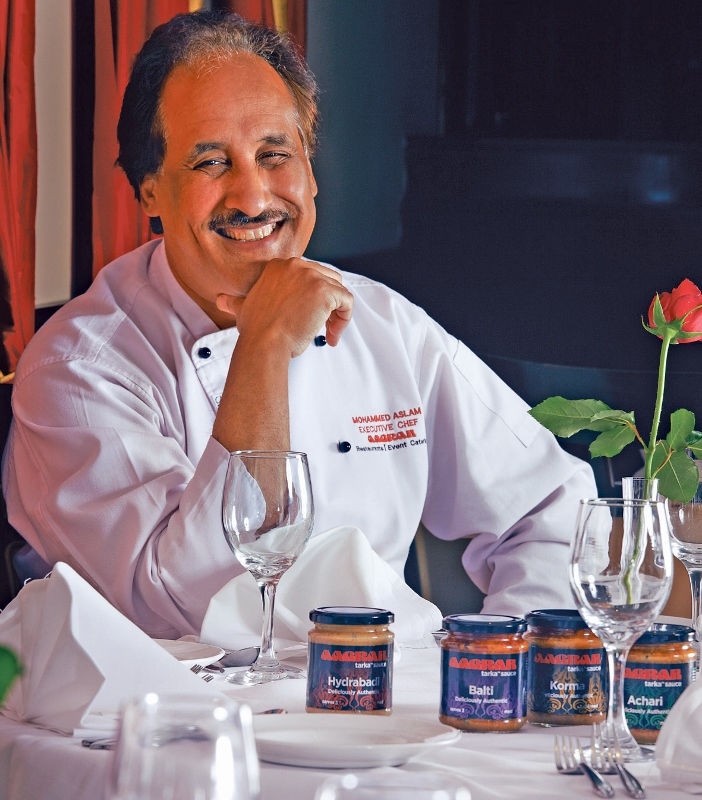 Aagrah Restaurant Group was set up by Group Chairman, Mohammed Sabir, in 1977 and has since grown into Europe’s largest Kashmiri restaurant chain with 14 sites throughout Yorkshire. Mr Aslam has worked with both community and industry initiatives during his working life, visiting schools and colleges to inspire and promote the industry. His passion for food has led to both national and international recognition over the years, boasting not one, but two, International UK Chefs of the Year awards. A Special Recognition accolade, presented by Prime Minster David Cameron, was also received previously at the British Curry Awards in 2013.